Extended (EV)GreenbarPaperwork is necessary with this level of security. The extra layers of validation produce the green address bar on your site, an immediate source of assurance for customers – as soon as they see the green bar, they know your site is valid. An SSL certificate acts as third-party verification for a website’s security. It verifies the strength of the Secure Socket Layer encryption used when a user connects to the site and connects that encryption to the organization or individual that owns and maintains the website. SSL certification and validation are a necessary piece of web security for any business that collects information from its users. Different SSL certificates provide different levels of security, depending on the level of protection and security features your website and its users need. You may be familiar with visual elements such as Site Seals, the HTTPS:// protocol appearing in the URL, and the green bar, but there are less-visible functions that help protect your website and visitors. 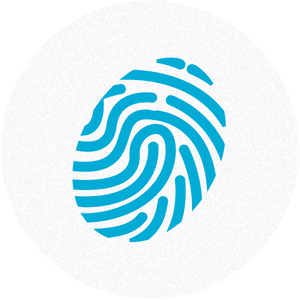 No matter what level of security you choose, your users will recognize that your site is safe, and that leads to greater trust in your brand online. Find out more about what Secure Socket Layer is and how SSL works. Visit our SSL Certificates FAQ for more insights. Validation is a key feature of SSL certification. Here’s how they differentiate from each other. Perfect for blogs, personal websites, and Facebook apps. It does not verify the site owner information and should not be used for e-Commerce or sites that have a user login. Ideal for securing sites that take in customer info and require login credentials. Site owner information is verified by the Certificate Authority. Recommended for sites requiring encryption for more sensitive customer information, such as credit cards. Site owner information is more thoroughly vetted by the Certificate Authority. 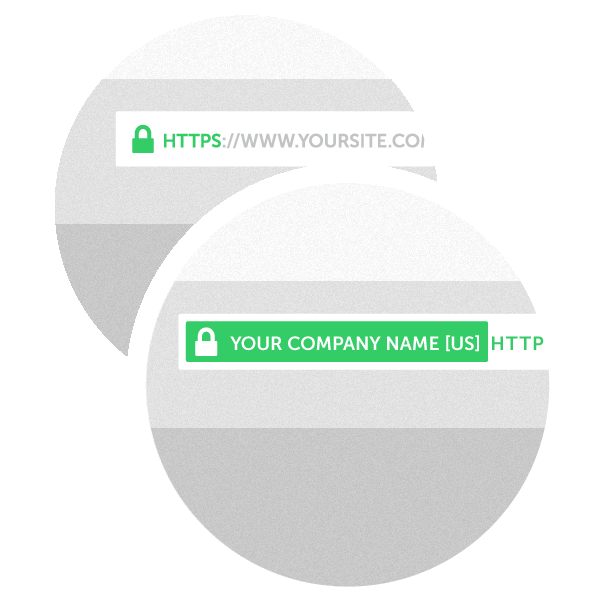 As their name implies, Single domain SSL certificates only secure a single unique domain or subdomain. Wildcard SSL certificates let site owners secure multiple subdomains under a single unique domain. Multi-domain SSL certificates allow multiple unique domains and subdomains to be secured with a single certificate. Comodo, Inc. is the world's #1 trusted SSL certificate provider, offering site owners and managers best-in-class security, trust, and compliance at a great value. We believe our exclusive partnership with Comodo will streamline our customers' experience, allowing us to provide the best website security products on the market with competitive pricing. After you purchase an SSL certificate, it needs to be activated. After activation, you’ll receive installation instructions. From that point, you can manage your certificate in the Namecheap Account Panel. Begin by purchasing the right SSL certificate for your needs. Choose from the three types listed above. You’ll be able to activate your SSL certificate from the Account Panel immediately after purchase (or at a later time, if you choose.) CSR code assignment and domain name indication will occur during the activation process. You will receive instructions on how to install your SSL certificate once it has been validated and issued. Click here for more information on the installation process. You may manage your SSL certificates (including renewal and reissuance) in your Account Panel. What comes with an SSL certificate? Every SSL certificate issued by Namecheap comes with these great features. 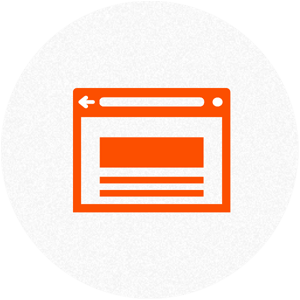 The site seal offers visual proof of the security provided by your website’s SSL certificate. It’s so important, in fact, that it’s become the main reason many website owners and managers buy an SSL certificate as most web users know to look for it. Seals vary in appearance depending on the type of SSL certificate issued, but they all mean the same thing: your user’s data is protected. 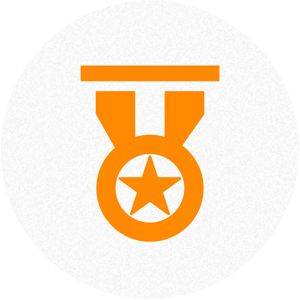 Namecheap is known for providing best-in-class customer service thanks to our stellar support team. Namecheap support staffers are some of the most polite, helpful people in the business, with a wealth of knowledge about every product and service we offer. You can rest easy knowing that they’re available 24/7 to answer your questions and offer advice about your SSL certificate purchase. 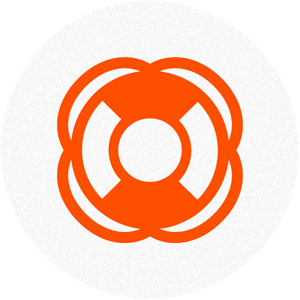 Namecheap’s experts have hand-picked our SSL certificate selection to ensure the broadest popular browser compatibility. Our certificates are supported by all the popular browsers, which means that whichever one you use will recognize Namecheap's SSL verification, keeping the browsing experience hassle-free. Your users will never wonder if the company issuing the certificate is real or whether protection is guaranteed. The level of security provided by an SSL certificate is determined by the number of bits used to generate the encryption key. That key is then used to encrypt the data. Most of our SSL certificates use either 256-bit or 128-bit encryption, depending on the capabilities of web browser and server. Both 256- and 128-bit are industry standard for data protection. Once your SSL cert has been purchased, the next step is to have a CSR code generated on the server where your website is hosted. You will need to have a dedicated IP address, or SNI technology active any shared servers. 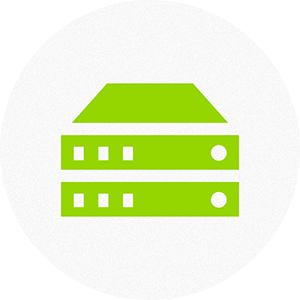 Using a web host that supports third-party SSL certificates, is important, as well, but if you are a Namecheap hosting customer, this requirement has already been fulfilled. Read more detailed instructions about activating your SSL cert. When you change your hosting service, believe that your CSR/RSA pair has been compromised, or replace the domain name(s) for which the SSL was issued, you need to have your SSL encryption certificate reissued. Changes to contact details in the certificate may require a reissue, as well. To begin the process, you must generate a new CSR/RSA pair and save your RSA for further installation. Be sure to save your RSA for later steps in the installation. This can usually be done by the user, but your hosting provider may be able to assist. At Namecheap, there is no cost to reissue your SSL certificate. When you purchase an SSL certificate, an expiration date is encoded by the certificate authority, and cannot be changed. Beginning 30 days prior to the expiration, but before the actual expiry date, you must complete the renewal process. When you use Namecheap as your SSL provider, we will contact you via email during the renewal window to remind you to take action. The process is easy, and requires only four steps. Learn more about the SSL renewal process. Still have questions about our SSL Certificates?